Just own the night like the 4th of July"
I hadn't watched July 4th fireworks in ages, because not even that amount of sparkle is worth sitting in hours of traffic during the summer heat to me. However, this year one of my friends invited me to her neighbor's huge party out in the country and they put on a fireworks show that easily rivaled any I've seen by a professional company! It was dazzling. Wow, this is an amazing shot! All of my firework photos were a blurry mess. That's what I get for forgetting to bring my actual camera and having to use the phone instead...lol! Wow you get a great photo! Kristin, You take the AWARD for the best fireworks photo on any blog or Instagram. Wow! BEAUTIFUL! I love fireworks Kristin and this red one is really very beautiful. Thanks for hosting. Great shot, fireworks are so much fun! Great shot. My fireworks pictures never look this good. Nice work! How long was you time shot? we did not go to nor see any fireworks this year. but we heard plenty, LOL! Great shot. I have yet to post any 4th pictures. That is incredible! What a shot. Mmmm where to start? At the top of the list or the bottom? Fun Fun! Nice picture! I always have a hard time w/the fireworks coming out pretty in print. I tried very hard to get some shots, but for some reason I could not get my camera setting right. I never go out into traffic for fireworks any more. My neighborhood had a spectacular show too. Easily the most outstanding fire works image ever reminds be of a spectacualr flower. I LOVE fireworks! Fortunately, there are places to watch nearby that don't have huge traffic issues. If I'm ever so fortunate as to go to a Reds baseball game on a Friday evening, there's always a fantastic fireworks show after the game. The lyrics are perfectly matched to your image! I'm back! 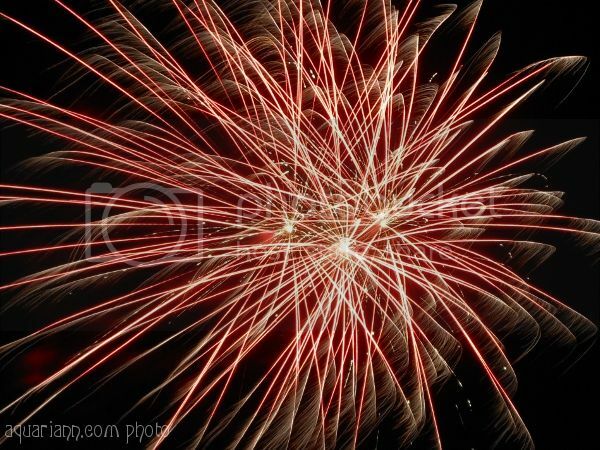 Great fireworks photo. I would love to do this. Maybe this September I can try to capture Boomsday's fireworks here in Knoxville. They put on a nice display every year. Thanks for sharing and for hosting WW! That's a great firework shot! Mine always look blurry and crappy lol.